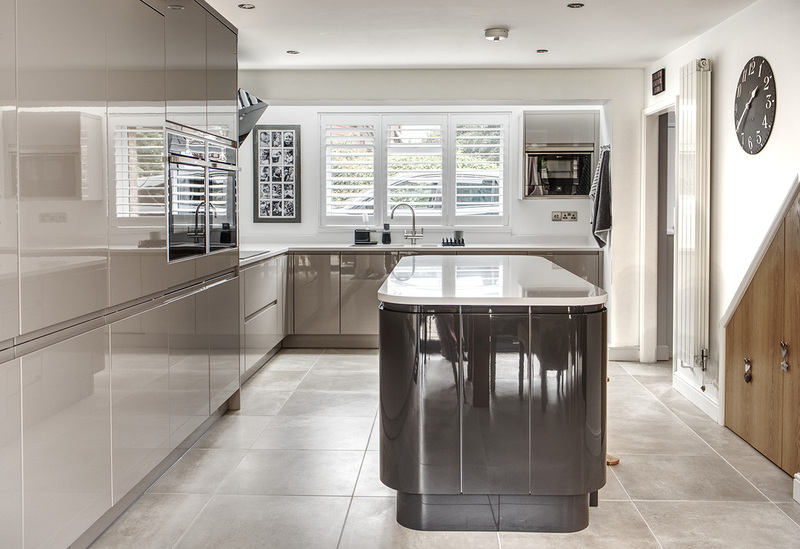 This modern kitchen installation saw Cannadines completely renovate the ground floor, in the process moving the kitchen from the front of the house to the rear. For this project Cannadines were commissioned to carry out extensive building work to the property. This included removing a supporting internal wall as well as relocating a cloakroom, both of which allowed us to extend the front of the kitchen by two metres and provide enough space to install two large Velux windows. 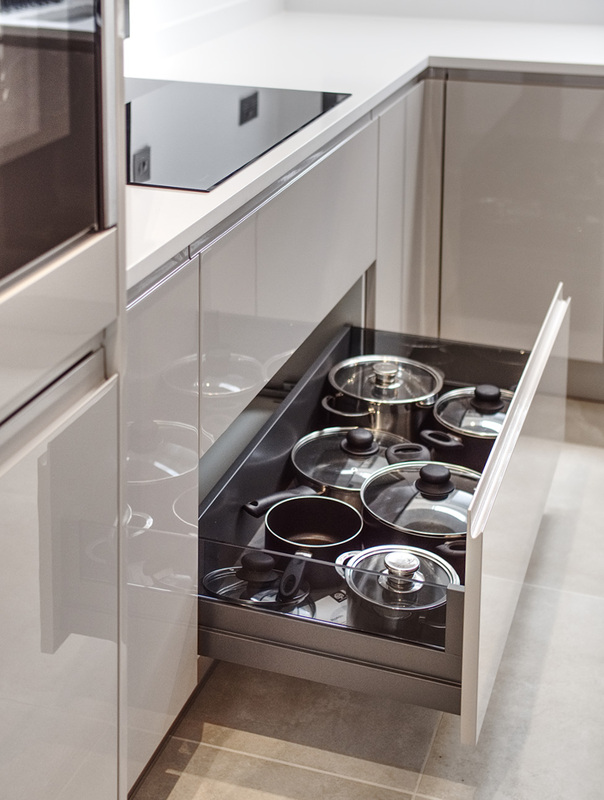 The peripheral kitchen units, from Sheraton Kitchens, are handle-less in-line doors in a gloss two-tone finish of Cashmere, with those on the curved kitchen island finished in Anthracite. The units are topped with Silestone Blanco Zeus worktops that encapsulate a Neff induction hob as well as a hidden sink. The tall units house a pair of Neff slide-and-hide ovens and a hidden washing machine, as well as providing ample storage space for food and utensils. 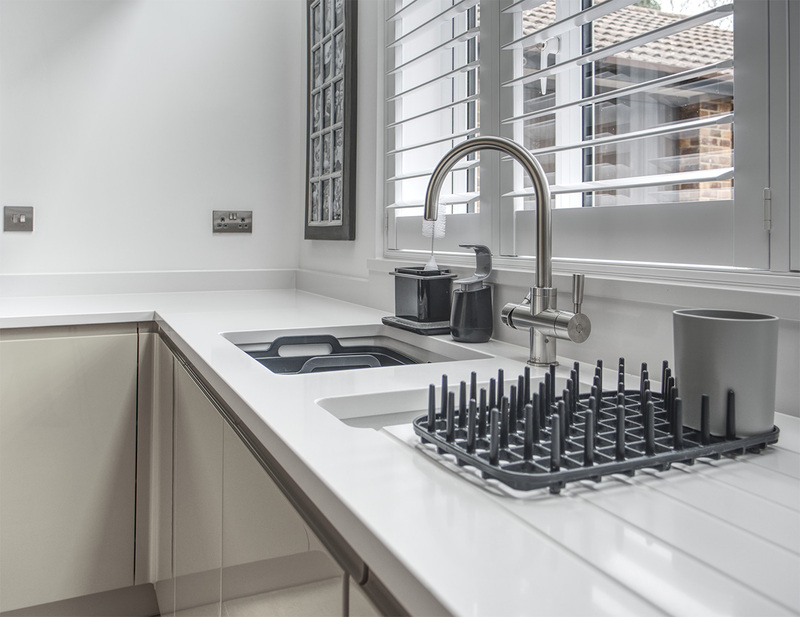 For finishing touches, the sink comes equipped with an instant boiling water tap from Franke, while underfloor heating has been fitted throughout the ceramic ground floor. 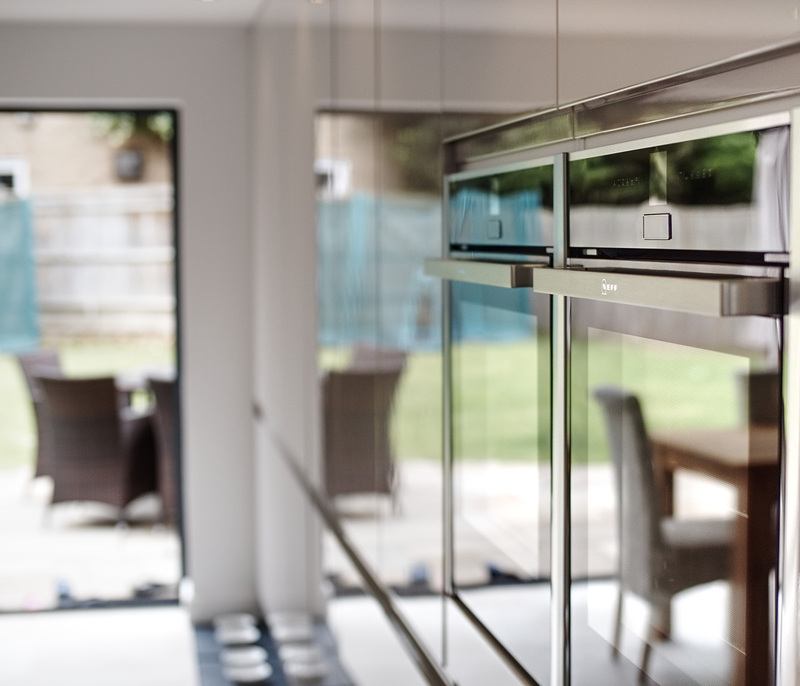 A three-metre set of bi-folding doors rounded off this beautiful installation, giving the family a stunning and modern open-plan room that seamlessly connects their kitchen, dining room and garden.